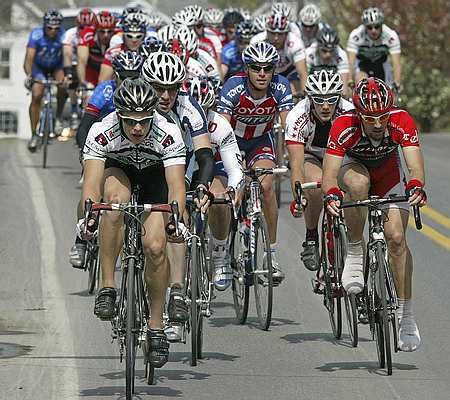 Yeah, April 25th, the date of this year’s Tour de Ephrata, is nearly here! I’ve literally been looking forward to this event since before we bought the Smithton Inn last June. As Dave and I began learning more about Ephrata, we heard about this annual bike race and I’ve been eager to experience the event ever since. It may seem like an odd thing to be so excited about, but I used to live in Mons, Belgium, where races like this happened all over the countryside every weekend. It’s a site to see… one that I’ve missed in the MANY years since returning to the U.S. This year’s Tour includes both cycling and running events. The main race is a spectator-friendly Criterium. Racers will race a .7-mile course on a loop in the center of Ephrata. The start/finish line will be on East Main St., near Washington St. in the heart of downtown, less than a mile from the Inn. There will also be a 5k run, a ‘bike rodeo’ for kids, and a Celebrity Race (one lap of the course). For more information or to register for this event, go to http://www.tourdeephrata.com/. If you’re thinking about coming to town and checking out the race as a spectator, you can be sure you’ll be treated to an exciting, “colorful” event. And between races and laps you can check out Ephrata’s many local downtown shops, or sample some of the local food they’ll be selling at roadside stands. One of the many ‘upsides” of staying at the Smithton is that we’re outside of the ‘road closure’ zone and an easy walk to the course. For riders coming to town, the Smithton has plenty of storage space for bikes and gear, and we’re happy to make up an early breakfast for you should you need it. In either case, we hope to see you on the course! Lancaster County Mud Sales – A Local Tradition & Good Clean Fun! — Embrace Your Inner Superhero… May 1st is “Free Comic Book Day”!